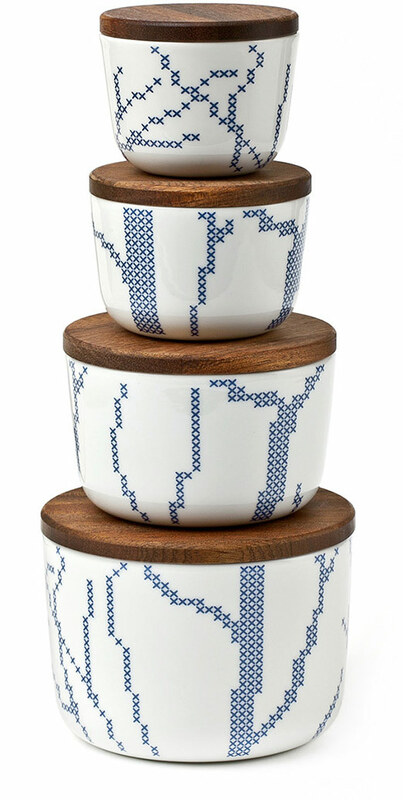 Our find of the week is the Stitch series from Danish designer Gry Fager. It’s so lovely, with its white and blue design, and mahogany accents. The series include a vase, a tile, a milk jug, a carafe, bowls, cups, and jars.